Michele has been very artistically active this fall and wanted to be able to offer some art ideas as gifts, which inspired her recent low-priced print Red Lotuses, which has been a top seller this week, along with one of her latest, Trio, also priced for a stretched-out holiday budget. 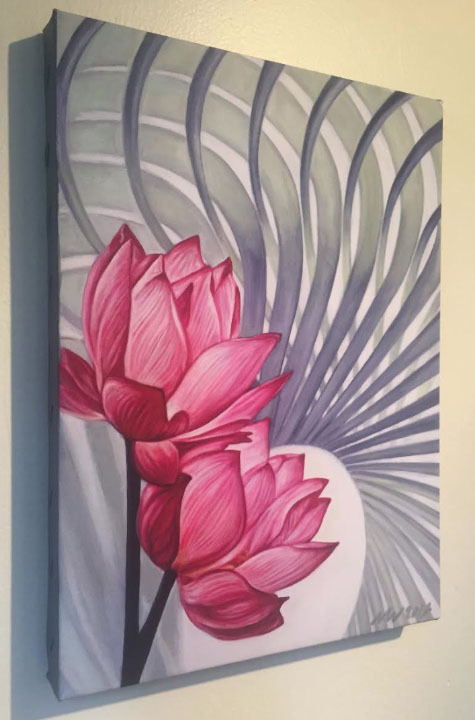 For you last-minute gift seekers, she has gone ahead and stretched a limited number of the Red Lotuses canvas prints on archival stretcher bars, making for a perfect gift- since it's ready to hang right out of the box! Prints come signed, are archival for 125 years, and are available in a limited quantity for the unprecedented price of $50 each. 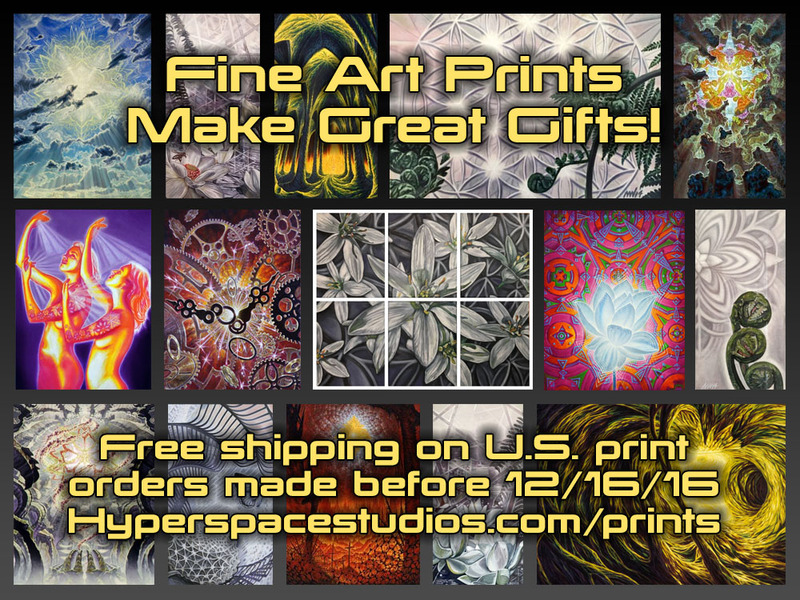 Drop by the Hyperspace print gallery to see what else we have there. In addition, Michele has lowered the price on her classic visionary art book Moments Of Epiphany by almost 50% for the holidays. 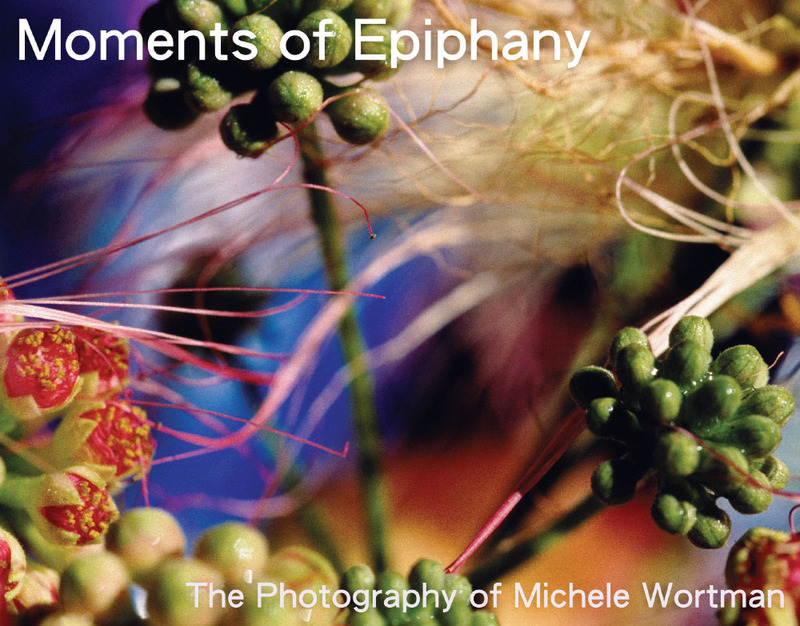 Moments is a book of abstract photography that highlights Michele's unique and luminous artistic vision. Perfect to open and share with family on Christmas day, it's filled with colorful abstract wonder. On sale now at the Hyperspace online store. US orders received by the 16th are guaranteed for delivery before Christmas.